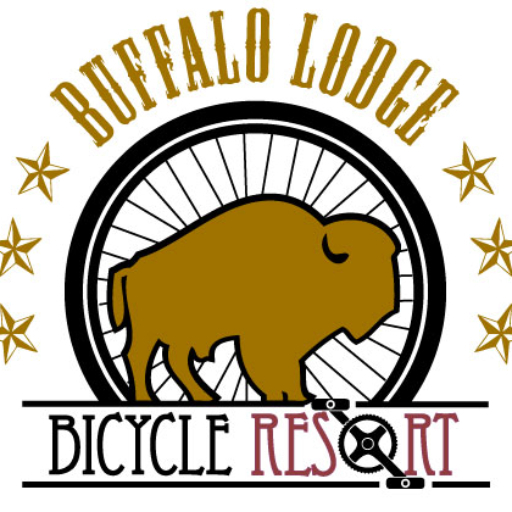 Blue and Black Level Rides -Leaving from The Buffalo Lodge! 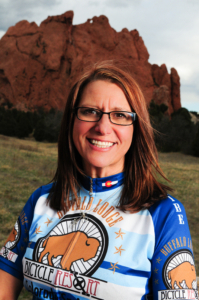 Rides are part of the The Buffalo Lodge Bike Tribe or the Colorado Springs Cycling Club. Your first ride is FREE and a small yearly membership fee to the BLBT or CSCC will cover your future rides. 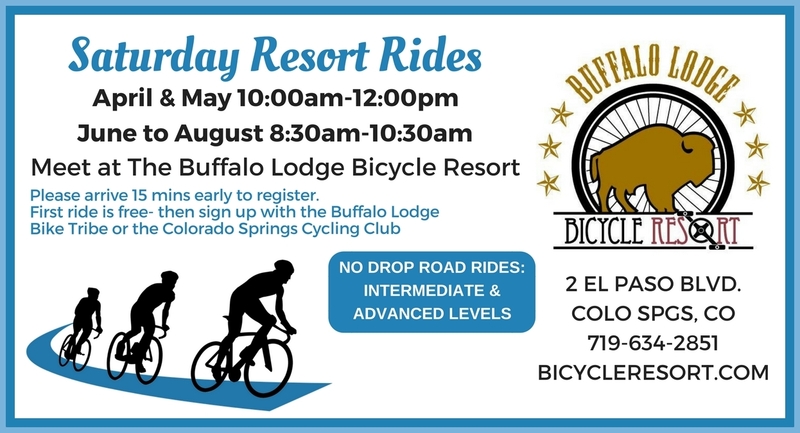 We ask that you sign a liability waiver (please arrive 15-30 mins early) either through our web page (see home page menu) or at the resort on the day of the ride. Rides may be cancelled due to bad weather (please call ahead 719-634-2851 or check our Meetup.com page), but most Saturday mornings are beautiful in Colorado Springs.